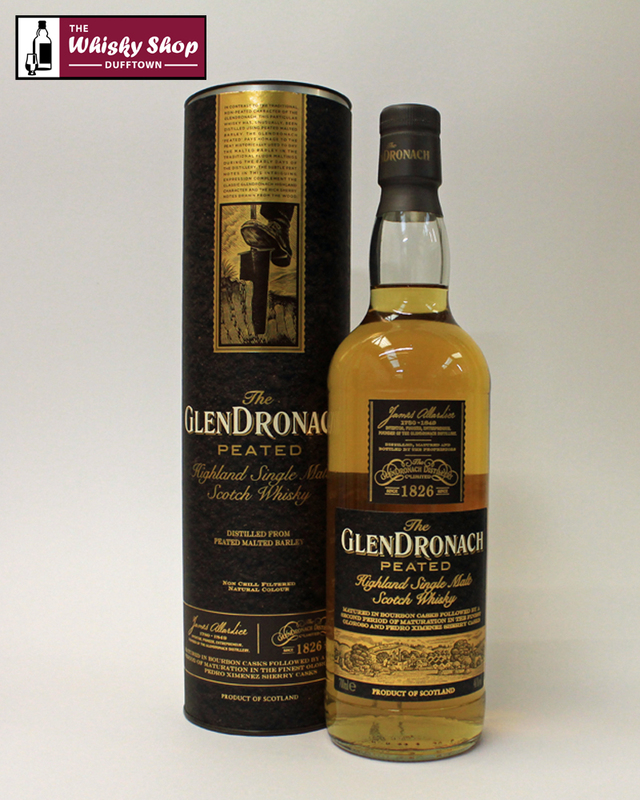 In contrast to the traditional non-peated character of the Glendronach, this particular whisky has been distilled using peated barley. 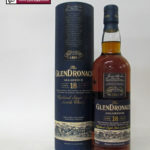 In contrast to the traditional non-peated character of the Glendronach, this particular whisky has been distilled using peated barley. It has been matured in bourbon casks followed by a second period of maturation in Oloroso and Pedro Ximinez sherry casks. Distillery: A delightful aroma of ripe gooseberries dusted with cinnamon sugar combines with a contrasting crisp citrus twist. The delicate peat influence gives a smouldering charred wood character filled with freshly ground barley and hints of vanilla toffee. Distillery: Vibrant oak spices and floral heather honey develop to rosehips and barley sugars, all warmed by a touch of white pepper. 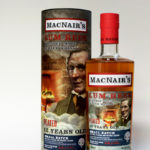 Subtle peat notes compliment the palate by giving a delicate depth and dryness of glowing campfire embers. Distillery: A unique marriage of crisp fruit and barley-laden Highland characteristics surrounded by gentle peat smoke, intriguingly reminiscent of heather burning in the distant glens.